Once a month I'll be posting a dessert recipe and an excerpt from a book thats struck me just right, whether it be gorgeous descriptions, funny dialogue, swoon-worthy kisses, sarcastic come-backs, or spine-tingling encounters. This month I've decided to make Cheesecake Cookie Cups(yerm!) and talk about The Goose Girl by Shannon Hale. She was born Anidori-Kiladra Talianna Isilee, Crown Princess of Kildenree, and she did not open her eyes for three days. The pacing queen directed ministers and physicians to the crib. They listened to her breathing and her hummingbird heart, felt her fierce grip and her tiny fingers soft as salamander skin. All was sound. But her eyes did not open. For three days the grave-faced attendants came and went. They prodded her, lifted her lids, slipped thick yellow syrups down her throat. "You are a princess," the queen whispered to her ear. "Open your eyes." The baby cooed in her sleep. When the third day had worn away to the lake blue of evening, a hand parted the nursery curtains. All was still for the night. The queen dozed on the bed. The baby in her crib dreamed of milk, her round, perfect lips nursing in sleep. A woman in a fern green robe pulled aside the curtains and tiptoed across the carpets. She slid her callused hands under the infant's back and head, held her up, and grinned. "Did you call me out of my house to come and tell you stories? she said. "I will, my fat one, if you will listen." The queen awoke to the sounds of the rocking chair creaking and a voice singing about magpies and pigeons. She stood up, ready to call the guards, then saw that it was her own sister who sang to the baby, and that the baby was looking back at the aunt with wide eyes. 1. Heat oven to 350 F. Spray 12 miniature muffin cups with cooking spray. Place 1 cookie dough round in each cup. 2. Bake 15-20 mins or until golden brown. Press end of wooden spoon handle into center of each cookie cup to make 1-in-wide indentation. Cool completely in pan, about 20 mins. 4. Carefully remove cookie cups from pan. Spoon cheesecake filling into center of each cup. Top with chocolate chips. Serve immediately or refrigerate and serve cold. There are four books that I'm definitely waiting anxiously for this year. 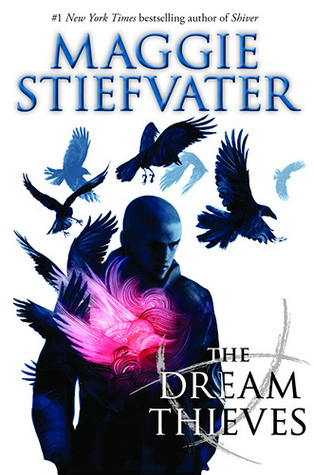 First is The Dream Thieves by Maggie Stiefvater, due out Sept 17th. It's the second in The Raven Boys series, and with how the first ended(involving an ugly baby bird named Chainsaw), I can't wait to see how this one starts out. Course, I eagerly anticipate anything from Maggie. The woman is super talented- she can write, draw, and play what seems like every instrument under the sun! 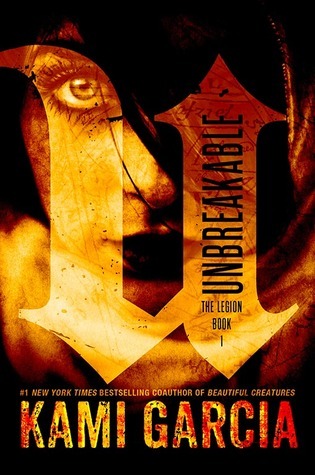 Second is Unbreakable by Kami Garcia, due Oct. 1st. I love following Kami's blog(especially when she lets us see into her writer life- fun!) and really liked the Beautiful Creatures series, so I'm excited to see what her voice is like by itself. 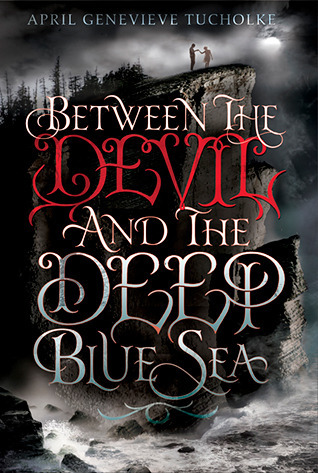 The third is Between the Devil and the Deep Blue Sea by April Genevieve Tucholke, due Aug. 15th. Love the title and something about it sounds really good, despite the whole mysterious boy aspect that I sometimes get a little tired of... But reading in the blurb about how River likes to take naps in the sun caught my attention. And this- 'Violet's already so knee-deep in love, she can't see straight. And that's just how River likes it.' Interesting! 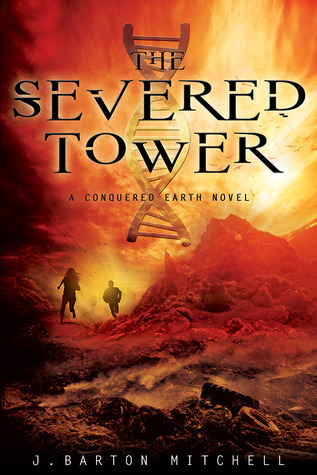 And finally, The Severed Tower, by J. Barton Mitchell, due Nov. 19th. A super good alien take-over series imho. I'm really looking forward to getting to experience The Strange Lands, where the aliens originally landed and so they've become...strange. =) Holt is a great boy character, plus he comes w/a dog and a little girl. Sorta can't beat that combination! And in other random news, I got another ampersand! It's light grey, but looks white, so I put my quail next to it for comparison. At least in writing anyway! Mine is a love triangle. I just don't think I could write one convincingly enough. And then add in the fact that YA books are flooded w/love triangles, and I find myself cringing when I pick up a book and see the inevitable- Lucy loves Jack. Jack loves Lucy. But then when mysterious newcomer, Bob, arrives in town, Lucy finds herself irresistibly drawn to him. And now it's time for the kidlet to have another bath(how does he get so dirty? ), but before I go I'll leave you with this pic. The tulips bloomed today! Please email me at leandrawallaceatgmaildotcom and let me know where you'd like for me to send it. First Post and A Giveaway! Woo-hoo! My first blog post! =) I've wondered lots what to write about, but I'm just gonna go w/the normal: Hi, I'm so-and-so. I primarily read YA, some of my fav authors being Maggie Stiefvater, Garth Nix, Patrick Ness, and Suzanne Collins. My fav not YA authors are James Herriot(my Mom introduced me to him when I was a kid and I've been hooked ever since- he wrote about animals and people equally well) and Marion Chesney, one of the best Regency writers out there, in my humble opinion. in a cardboard box with your name on it(oh, the excitement!) all you have to do is leave a comment. Then tomorrow at twelve o' clock(eastern time zone), I'll randomly pick a winner and announce it here. In case it's hard to tell, the above pic is of a shadowbox w/the saying done in foam stickers. Thanks for stopping by and reading my ramblings!